VINTAGE. As promised, some pics from our little adventure at the What Goes Around Comes Around warehouse. Really really wanted to get the mad bolero jacket thing in the first picture but it was waaaaaaaaaaay over my budget. Or how about those insane Vivienne Westwood platforms?! Yes please! (But unfortunately, not my size, nor in my budget). Instead, I ended up with these awesome Pucci sunnies from the 70’s that I’m completely obsessed with. Sadly enough it has been raining since I got them but I’m keeping my fingers crossed that the sun will show up tomorrow! This entry was posted in Outfit, Shopping, Travel by Carolina Engman. Bookmark the permalink. I really love vintage places, and all your pics are amazing!! I love the military jacket! and those vintage shades are fantastic!!! I live in a loft in Tribeca; if you’re desperate I have a free day bed and couch for a few days. I’m a producer and architect in the city; thought I’d offer. You belong in the 60s and 70s. You would just blend right in. I’m loving all these pictures. where is this place? i’m going to nyc this monday. i want to check it out. Ooh… I would almost sell everything I own for that bolero, it’s crazy beautiful!! But those shades are awesome as well, I have been looking for something similar and got a pair but not nearly as fancy as those Pucci ones! Oh by the way, I LOVE What goes around comes around!!! I went to their sample sale in their showroom once and it was mad! so cool. did I ever mention that I looove your hat? where did you get it from?.. I also love vintage!! seems you had a lot of fun!
. love the bohemian chic!
. & the shoes are stunning! I love it , your blog is amazing!! Love the sunglasses! Great picks! cool looks dear and wonderful pics, love their vintage touch! love, you’re getting more beautiful everyday! looks like you’re having a great time – minus the over-the-budget-issue but I guess that’s a major part in life when you fall in love easily. älskar bilderna så mycket alltså! this looks like the most amazing sale! great finds..must have been so hard to leave behind the bolero and crazy westwood platforms! have you heard that you look like Taylor Swift? I’ve been wondering who it was I thought you looked like and it finally clicked!! where is this warehouse? IN the USA? Because IÂ´m planning a trip to the USA and I would love to visit this amazing warehouse ! Beautiful images. And I love the sunglasses ha! Lovely photos! Those shoes are insane! love the Vivienne Westwood shoes! oh, so powerful pictures. I like your expression! great photos! looks like lots of fun!!!! Oh my gosh… freaking pee the pants! those items are drop dead beautiful! Ohhh!! The pics are so beutiful!!!!! I love the warm colours on them!!! 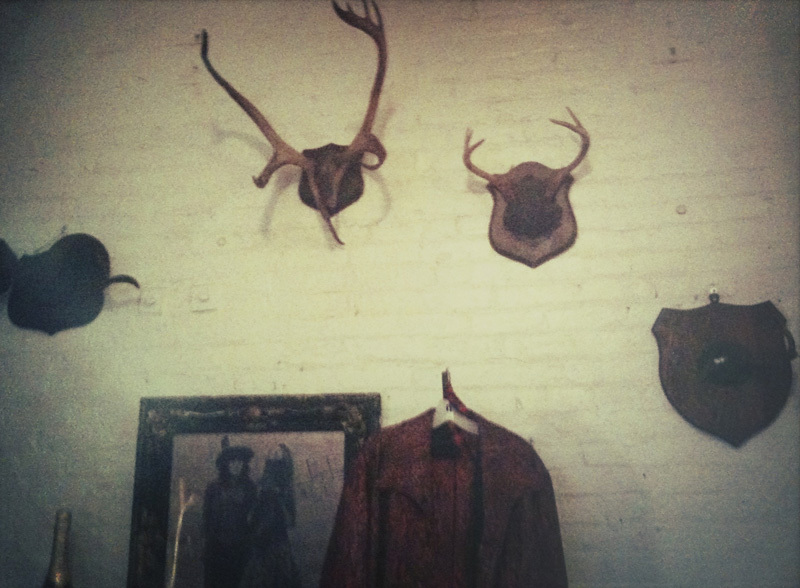 I’d love to be on that vintage store also…. I would really freak out!! lusting this post!! there are so many drool worthy pieces! :) LOoks like a lot of fun- great sunnies btw. Those sunnies are adorable on you! I love that vintage military trench, that would be so much fun to wear. yes it definitely looks like paradise! oh lord those shoes are incredible! The Bolero is ssssoooo HOT! Oh my god, as an second hand junkie I am so jealous! totally loving the arms !! seems like you were having so much fun there! o gosh, those vivienne westwood platforms make really wanna go to vintage shop asap!! hope the weather can get along with you in your next hunting! The sunglasses, the bolero, these shoes. . . WOW !!! Oh reallly nice pics !!! Love the colors in the pic of you that you took with the i-phone. I must know: Which app did you use? I think it looks so great!! we are in love with you blog! du är såå coooool. ah!!!! I like your blog so much…you are a perfect style icon!! This sure is heaven… with lush leopard and sturdy pumps! Amazing! Those heels are serious. Stunning pictures!! I love your style!! Love the first picture! it’s awesome!! I love the sunglasses,and the poses! i’ll follow u,follow me back if u want! These pictures are adorable! Love it!